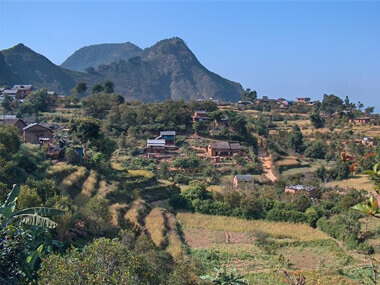 Bandipur, a pleasant and charming hill town is situated on a hill-crest that offers a magnificent view of the central Nepal Himalayas and the Marshyangdi valley. 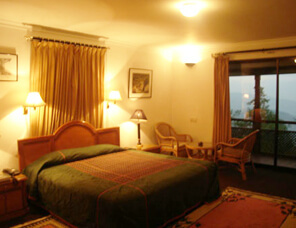 Located somewhat mid–way between Kathmandu and Pokhara and only ten kilometers above the Prithivi Highway. It is the ideal spot for travelers to take a lunch break, stretch the body with a refreshing swim or simply gaze at the enchanting mountains views. From here, the panorama includes the Dhaulagiri, Annapurna, Manaslu, and Ganesh Himal ranges. High snow-capped mountains, the cascading Marshyangdi River, River and Lush terraced fields all combine to offer a never-ending blissful experience. It is very important to mention what does the price include and exclude. We clarified our services such hotel reservation, sight seeing in Kathamndu valley and transportations day to day itinerary. Unforeseen Cost such as Flight Cancellation or Delayed, Sick in Trekking, and Helicopter rescue in Trekking, Cost due to bad weather etc which is out of our control. Flying to Kathmandu along the northern border of Nepal on a clear day is in itself an exciting and memorable experience. As you fly, the panoramic view of snow-capped Annapurna mountain range greets your sight. After the completion of Visa formalities, you have to come downstairs to collect Luggage and proceed to outside from terminal Building. Please look at your Printed Name and Our Company Signboard Annapurna Foothills Treks & Exp and follow them. Meet our representative and then you will be transferred to hotel. You will be served free welcome drinks, tea or coffee or juice at the time of check in. The Managing Director or the Manager of company will meet you in hotel and will brief about the trip. You should clear your dues before we proceed for the trip. You are free to relax or explore around the city in the very first day. 03 full day sight seeing in Bandipur. Begin the day with a visit to the Khadga Devi Temple, the most sacred and auspicious temple in Bandipur. Then head up to the Martyrs Memorial Area, which honors seven Bandipur sons who were killed during the anti-Rana insurrection of 1951. Then head down to the shrine of Paarpani Mahadev (Shiva), who receives appeals for rain from Bandipurays during dry spells. Return to the bazaar along the main trail, and visit the two other important temples of Bandipur: Bindebashini and Mahalaxmi. Bindebashini is the pagoda-roofed temple that houses goddess Durga, the guardian deity of Bandipur. The rich wooden carving and detailed brass-work that adorn the temple are replicas of those found in the many old pagoda structures of the Kathmandu valley. It displays Newari craftsmanship. The temple has rich wood carving on its struts and windows. The lintels and toranas have detailed brass work. During Nepali New year, which falls in the mid-April, the people of Bandipur celebrate Bisket Jatra which is similar to the Bisket Jatra of Bhaktapur. It is said that people of Bandipur, especially the Newars, migrated from Bhaktapur and still have close ties with the people of Bhaktapur. After lunch you may want to visit the Silk Farm, which is less than half an hour’s walk towards the west. The staff there will give you and interesting tour-and-talk on the history and method of silk-harvesting in the Nepali hills. A quick descent to the bazaar will bring you to a unique and typical Newari town. The compact houses are built with bricks having tin or slate roofs. This is an impressive town with beautiful temples and palaces. Stroll the narrow lanes beneath traditional Newari wooden houses or sit in one of the many patis / pauwas (platform) and become part of an authentic Nepali experience. Bandipur offers mountain views and artistic houses and temples. After afternoon tea and snacks, you may want to visit Tin Dhara, where water spouts provide cool water famous among Bandipurays near and far for bathing. If you have enough time, be sure to visit slate quarries which provide roofing material for the region. Stay overnight at the hotel. after breakfast, we go for sight seeing in Pokhara that includes international museum, Seti river gorge, Mahendra cave, Davis fall. In the evening, we go for one hour boat ride on Fewa Lake . Overnight stay at hotel. The flight from Pokhara to Kathmandu high in the Langtang & Annapuran Himalayas is one of the most exciting Flights. Some People experience the feeling of mountain flight. In just over half an hour, you get Nepal 's most popular largest Mountain View city, Pokhara. Flight to Pokhara gives an ample opportunity to view of Dhaulagiri and Annapuran Regions Mountains. Our Nepalese support team will take you to the airport for your flight back to home. (Or stay longer for short tours such as game drive at National parks, rafting, Tibet tours, mountain biking etc). While doing trek in the khumbu region, we will witness the different views of mountains such as Kwangde, Thamserku, Nuptse, Lhotse, Ama Dablam, the "horse saddle" of Kanteiga and of course the summit of Everest itself. We take a short rest for a while and it allows us little time for acclimatization. Here, you prepare yourself to explore the ascent of kalapatthar which is an altitude of 5545m. While climbing down from Lobuche, you will see some glacial moraine until the peak comes into view. Finally, you will be witnessing the north face of Mt. Everest . We return through a different route through Panboche to Lukla. We catch a flight for Kathmandu from Lukla. © 2018 | Annapurna Foothills Treks & Expedition.